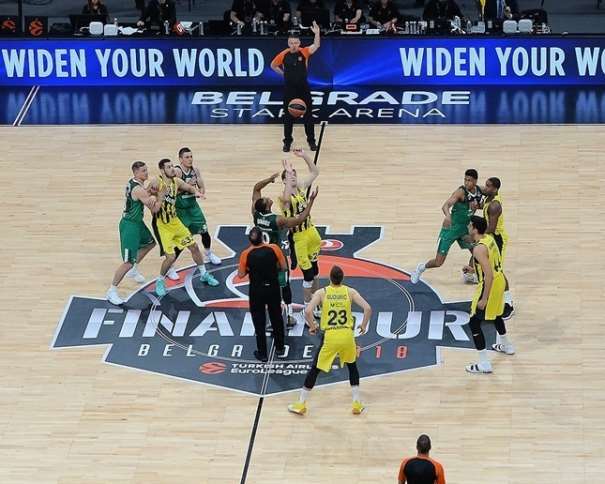 In the opening game of the EuroLeague Final 4, Fenerbahce won 76 – 67 against Žalgiris and made it to the final where the Turkish team will defend the title from the last year. It wasn’t an easy game for the defending champions but they made it to secure another final. The team from Lithuania can be satisfied with the game they showed on the court and tomorow Žalgiris will able to try to win the game for the third spot in the EuroLeague. Ali Muhammed was the best scorer in Fenerbahce with 19 points. The Italian player Luigi Datome added 16 and Kostas Sloukas finished the game with 14 points. An interesting fact is that Nicolo Melli, power forward, had the most assists (6) for the Turkish squad. In Žalgiris, Kevin Pangos was the best scorer with 16 points, Brandon Davies scored 12 with 11 rebounds and Aaron White added 10. The first points were made by Brad Wanamaker from Fenerbahce, and from that point, the team from Istanbul had the lead and didn’t allow its opponent. But Žalgiris was still in the game by only 6 points difference (19 – 13) after the first quarter. In the beginning of the second quarter it was a totally different situation. Fener took control and after 5 minutes of the quarter the Turkish team was leading by 12. Again, Žalgiris managed to get back in the match and the ending result of the first half was 39 – 33. The best scorer in the team from Istanbul was Luigi Datome with 12 points, while in the Lithuanian team no one had more than ten points, being Pangos (with 8) its best scorer. Žalgiris played an excellent third quarter and at about one minute before the end of that part Pangos scored 3 points for the result of 50 – 48. Only two points was the Fenerbahce leading difference. But Ali Muhammed made a two points buzzer beater and the ending score of the third part of the game was 54 – 50 for the Turkish team. The last quarter started with 2 points from Davis and with those points the team from Kaunas announced that they will fight till the very end. At more than 2 minutes before the end, teams started with tactical faults, but when Žalgiris realised that they were going to lose the game, they decided to let go of faulting the opponents. At the end Željko Obradović’s squad celebrated with a score of 76 – 67. After the match, in the mix zone, Nicolo Melli explained that his team finished the first step. The Italian big guy congratulated his team and Žalgiris on an excellent game. “It was a tough game and I would like to congratulate my teammates on the new final. We did what coach asked us to do, made same mistakes but we managed to finish as it was planned. I would also want to congratulate Žalgiris on the great game”, said Fenerbahce player after the game. Paulius Jankunas was sad for not make it to the final, but he was satisfied with what his team showed on the court. “I want to congratulate Fenerbahce on another final, they are a great squad, with an excellent coach but I want also to congratulate my team on a good game. We tried but in the end didn’t win. I am sorry for that because of all the guys in the team and our fans”, said the captain of the Lithuanian squad. 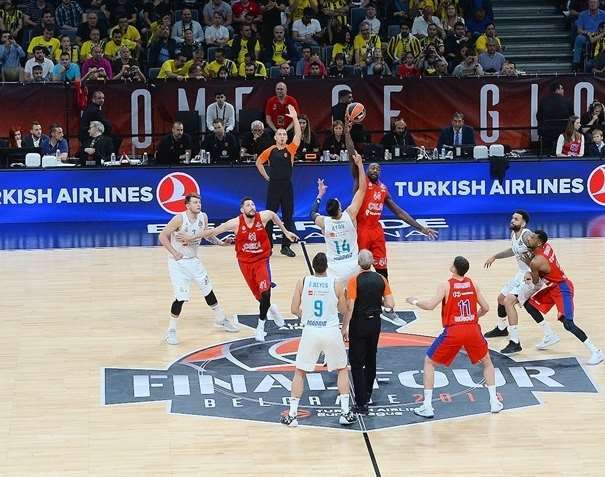 The second finalist in the EuroLeague 2018 Final 4 in Belgrade is Madrid and it qualified after beating CSKA 83 – 92. The team from Moscow started the game very well but after that it started a one team show. CSKA tried to get back in the game but they couldn’t due to a great shooting night of their opponent. Both Luka Dončić and Sergio Lull had an amazing night and they were the best scorers with 16 points each one. Dončić also had 7 rebounds, all in defense, and Lull added 5 assists. Also, two players added 12 points each one: Trey Thompkins and Gustavo Ayón, who also had 11 rebounds. For Dimitris Itoudis’ team, Nando de Colo scored 20 points, while Will Clyburn and Kyle Hines added 16 each one. Hines also had 9 rebounds (6 offensive and 3 defensive). Cory Higgins finished the match with 15 points. The first part of the second semi-final game belonged to CSKA Moscow. The Russian team took the lead from the very start and at the end of the quarter the result was 30 – 20 all thanks to a buzzer beater three points shot scored by Will Clyburn. At the beginning of the second quarter, Madrid started furiously and the made 8 consecutive points while the Russian team made none. Quickly, tne team from Madrid managed to take the lead when Lull made three points for the score 32 – 34. It was the first lead of Pablo Laso’s squad. Little less than 3 minutes till the end of the quarter the result was equal (40 – 40). And at the end of the first half Madrid was leading by one (46 – 47). Young Luka Dončić was the only player with double-digits for Madrid with 10 points after the first half. In CSKA, Cory Higgins scored 12 and Nando De Colo, 11. In the third quarter both teams played on the same level, it was an equal game and after 5 minutes of that part of the game the score was 51 – 52 for Madrid. But soon Madrid managed to lead by 9 (51 – 60) all thanks to Dončić’s and Carroll’s three points shots. Only Kyle Hines didn’t allow Madrid to have a better leading advantage. The American big guy took charge in CSKA. The lead after the third quarter was 7 points (56 – 63) for Madrid. But the fourth quarter started good for the Russians and at the beginning they were losing by 3 but Lull stopped it and again Laso’s squad took control of the game. It was an interesting quarter because whenever CSKA tried to get close, the players from Madrid made three points shots. And little less than two minutes before the end Madrid was leading by 10 (75 – 85). Offensive rebound were the main reason why Madrid was leading and winning. After the game, Madrid captain Felipe Reyes was satisfied with the win. “We made it to final. I want to congratulate my teammates on that. The reason we did it was because we played better”, said Reyes. Sergio Rodríguez also thought that Madrid played better, and that his team didn’t played good defense on important players. “We started well and had the game in our hands but then we stopped. Didn’t play good defense, especially on the players that can shoot three points. Also, I didn’t play well”, finished Rodríguez.